Many security professionals are familiar with Cisco as a network company. The network giant has always been the top provider for routing and switching solution for both enterprise and service provider market. 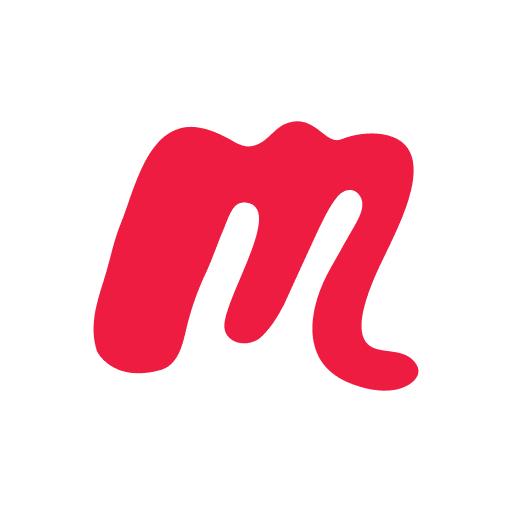 They also provide security appliances from a wide variety of platforms – Identity Management, Firewall/Next Generation Firewall (NGFW), Malware Protection, Intrusion Prevention System (IPS), Web and Email Security etc. Firewall is probably the most common security appliance from an enterprise point of view. Despite of Cisco’s aggressive marketing and multiple acquisitions, many network and security professionals are still familiar with Cisco Adaptive Security Appliance (ASA) as the Cisco’s only firewall security solution. Cisco acquired Sourcefire (which pioneered IDS/IPS Solution) back in 2013 not only to replace their IPS with a more robust and effective appliance, but to also integrate their existing security platforms. Since the acquisition, Cisco has consistently changed brand names from FirePOWER to Firepower, and from FireSIGHT Management to Firepower Management Center, which added more confusion. 1. 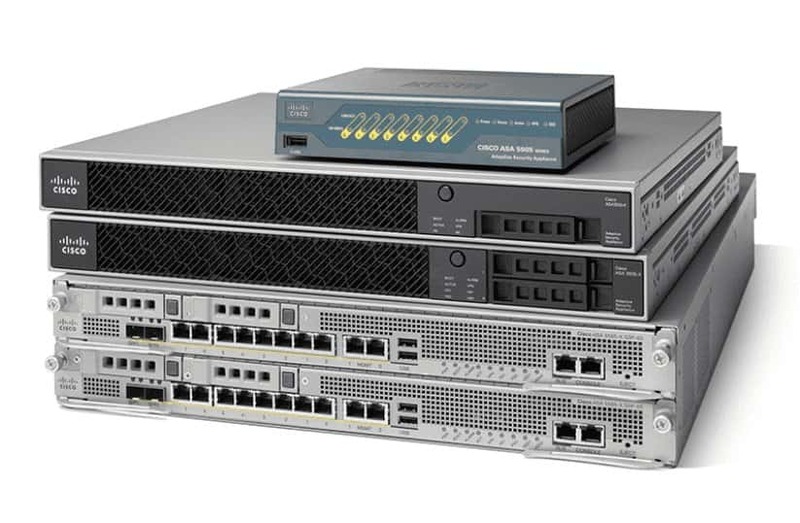 Is Cisco selling two different Firewall Solutions? 2. What is the difference between the two appliances? 3. Is Cisco Firepower an IPS solution only? 4. Is the ASA or the Firepower the NGFW Solution? 5. Will Cisco stop selling ASA platform soon? 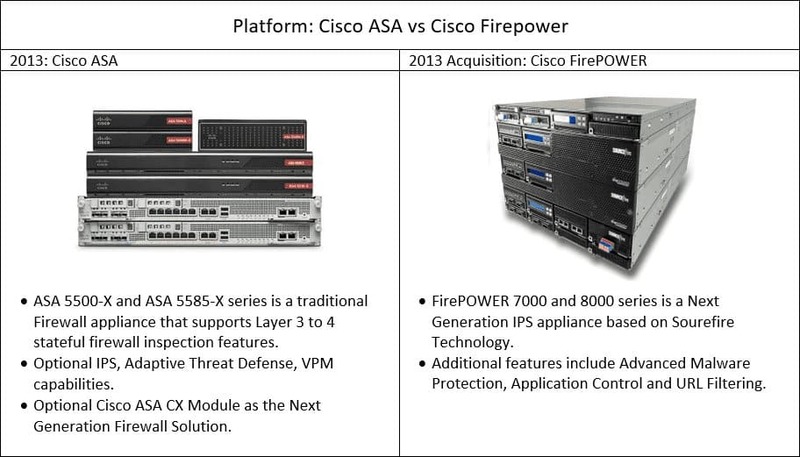 Here is a comparison and a little history between Cisco ASA and Cisco Firepower. The old FirePOWER brand was both NGIPS (FirePOWER 7K and 8K) and NGFW (ASA with FirePOWER) solution. 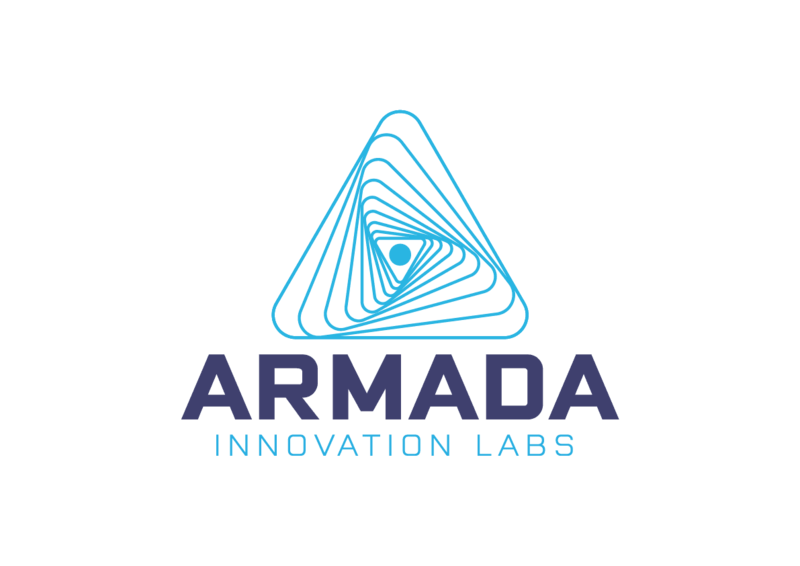 Both ASAs and Firepower running new FTD Software is a NGFW solution and can be managed centrally using Firepower Management Center (FMC) formerly known as FireSIGHT Management Center. 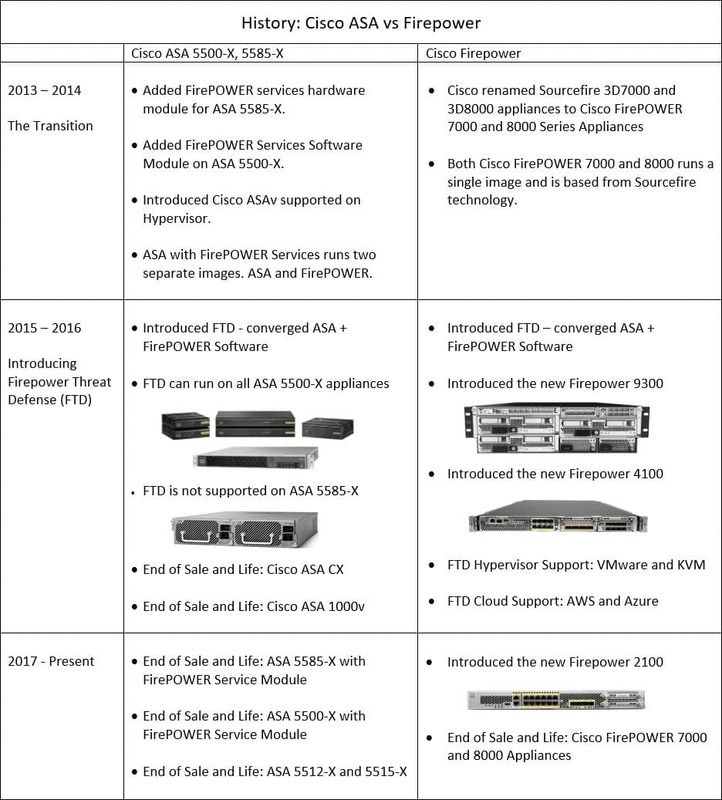 Cisco is still selling both ASAs and Firepower but obviously they are working towards more on Firepower Hardware Appliances (2100, 4100 and 9300) as it has better specification and more advanced features. It is also obvious that they are starting to get rid of the ASAs both Hardware and Software.